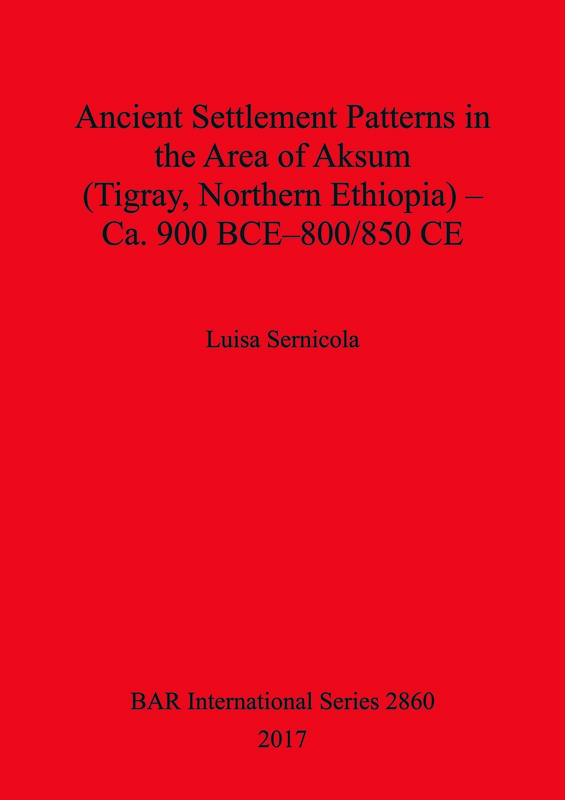 This English version of the author's PhD dissertation, revised and updated in the light of the latest research and interpretation, aims to reconstruct the settlement pattern of the area of Aksum between the early 1st millennium BCE and the late 1st millennium CE. It describes the field strategies employed during surveys conducted at Aksum in 2005 and 2006 and the procedures that were adopted for the interpretation and chronological classification of the surface archaeological records. It also provides an updated assessment of the archaeological area of Aksum, including an overview of the taphonomic processes affecting the preservation of archaeological sites, and presents the results of the statistical and spatial analysis undertaken for the reconstruction of the ancient settlement pattern and for the investigation of the ancient dynamics of human-environmental interactions in the area. Luisa Sernicola obtained her PhD at the University of Naples 'L’Orientale', with a research project on the ancient settlement pattern of the area of Aksum, northern Ethiopia. Since 2005, Luisa has been conducting archaeological investigations in the area and is now co-director of the Italian Archaeological Expedition of 'L’Orientale' at Aksum.